Kaf Warman, Associate Professor in Movement and Improvisation, specializes in physical approaches to acting. Prior to joining the faculty at Carnegie Mellon, Kaf spent nine years as Associate Artistic Director of Island Theatre Workshop, Inc., the longest continuously operating theater company on Martha’s Vineyard, Mass., directing up to six shows a year. In 2009 she was named Artistic Director of the company. 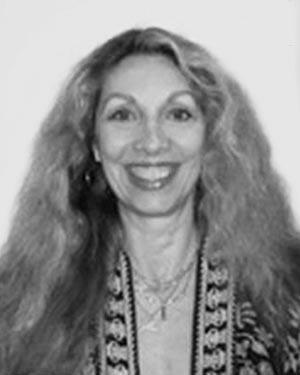 She has had Guest Professor/Director positions at the European Graduate School in Saas-Fee, Switzerland, California Institute of the Arts, UC Irvine, the Dell’Arte International School of Physical Theatre, the University of Maine at Orono and Goddard College, where she received her BA and MA in Theatre. Kaf is a graduate of the two-year professional training program at the École Jacques Lecoq School of Movement, Mime and Theatre in Paris, France, and was one of the first three students invited by Jacques Lecoq to attend a third pedagogical year. She has performed with theater companies both here and abroad, including the Caravan Theatre (Boston), Meredith Monk’s The House (New York), the Bread & Puppet Theatre (Vermont, New York), the Los Angeles Mask Theatre (California), Friend’s Roadshow (England), and was a founding member of Foots Barn Traveling Theatre (England, France), the Two Penny Circus (Vermont), David Mamet’s St. Nicholas Theatre (Vermont), as well as directing her own touring company for several years. Well-known in movement theater circles for her work with the Neutral Mask, Commedia dell’Arte and Clowning, Kaf continues to conduct workshops in these disciplines throughout the world. Her reputation as a mask specialist has also led to her consulting with the US Department of Education, the University of Hawaii, Honolulu School District, Los Angeles Unified School District, California Arts Council, the Los Angeles Music Center Education Division, the Very Special Arts Festival and The International Mask Research Foundation on ways to integrate masks into multi-cultural education curricula, as well as working on the design and implementation of the award-winning “workshop in a box”, MAKE A MASK.